We have some sonic and visual delights for you today in the form of the beautiful debut single from Makee and its luscious accompanying music video. ‘bail’ is the first track from Perth-based Makee’s forthcoming self-titled debut EP, out November 19th. Grab the single at Bandcamp, stream it at Soundcloud and check out the video at YouTube and Vimeo. 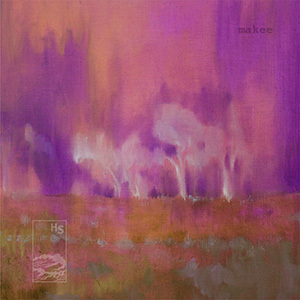 Makee’s bright-eyed, beat-driven tracks are as danceable as they are atmospheric and build to create a thoroughly rewarding sonic whole. His debut self-titled EP, self-described as “looped samples of atmospheric nostalgia”, stretches luxuriously across seemingly disparate genres. The fog-laden disco of ‘Bail’ is shot through with a beatific vibe; ‘Stez’ surges relentlessly on motorik rhythms; ‘Tone’ burns with ecstatic, sun-blind intensity; ‘Wake’ is infused with Caribou-esque psychedelia; and finale ‘Bord’ takes a leap into the void with the fervour of prime kosmische that’s been mollified by shoegaze. Enjoy the single and video and keep your ears peeled for the EP in November!